The Navy is one step closer to recruiting officers with much-needed skills into the service and immediately promoting them to a pay grade up to captain ― O-6 ― without any prior military experience. It’s a move the Navy has been asking Congress to allow for the past couple years, specifically in the hope of adding high-powered cyber experts to expand the service’s uniformed information warfare capabilities. Though it’s not a done deal, the move has passed its first hurdle in the approval process and was announced by the House Armed Services Subcommittee as one of its personnel proposals included in the latest mark-up of the FY19 National Defense Authorization Act. Despite being rocketed up the ranks, these officers won’t be commanding ships. Instead, the skillful software engineers will serve the critical role of ensuring the military’s ability to fight and wage cyber war, both on offense and defense. For many, earning a chief's anchors is the achievement of a long career. But it could come easy for some new hires. 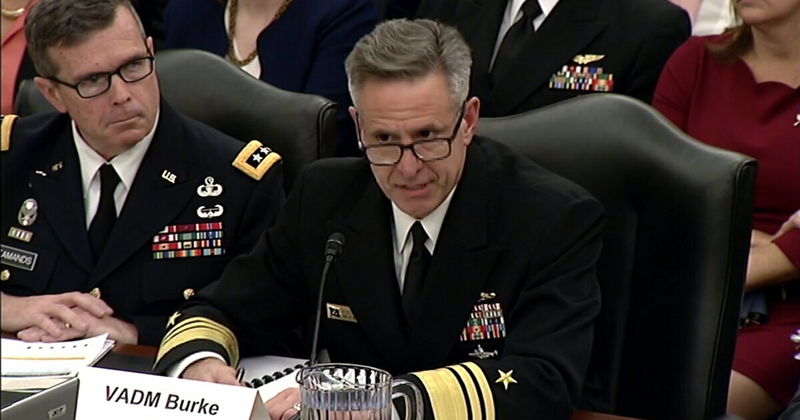 “You gave us some legislative authority to bring them in with the equivalent of three years of experience laterally,” the Navy’s top uniformed personnel officer, Vice Adm. Robert P. Burke, told the House Armed Services Committee on April 13. And that level of compensation just isn’t enough to entice the level of expertise the Navy needs, Burke told the panel. The Navy is not only competing with Silicon Valley companies for these skills, he said, but with the rest of the government, where there is already a program in place that can pay employees with these skills substantially more. As a result, Burke told the committee, the best and brightest tend to take the money and go into civilian government service. What Burke wants is a level paying field. Furthermore, the law would not limit these direct accessions to exclusively cyber. Instead, the law is being re-written to give wider latitude for future needs.